Stress free insurance claims: start using e-claims today! At the end of April our new E-Claim system went live and we have seen great success already. With two Insurance Times Award nominations in the bag already, we are bursting at the seams to shout about our AMAZING, SIMPLE & STRESS FREE e-claims system! No more chasing clients for claim form signatures! Vetsure accredited practices can locate a policyholder and submit a claim online. The policyholder then immediately receives an email confirming the details of the claim, which they can accept by digital signature, ready for immediate processing by the Vetsure claims team! Overall, this results in an exceptional customer experience and claims processing efficiency gains. 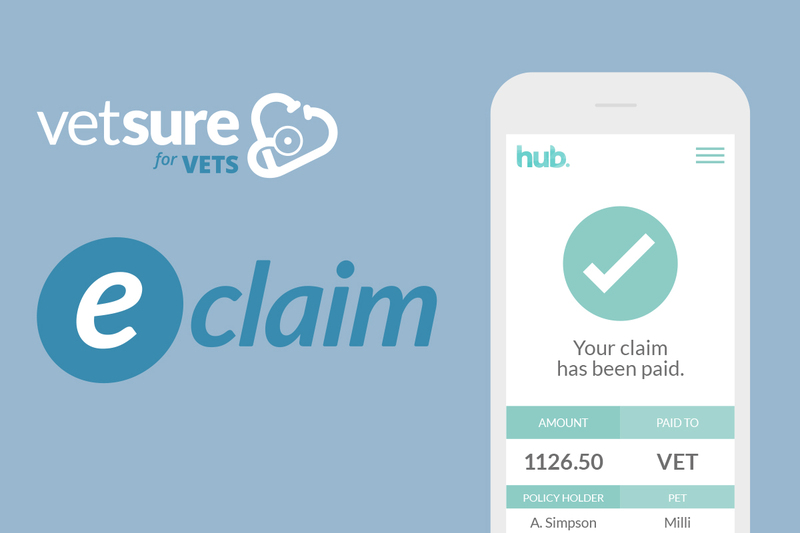 The new e-claims system has enabled Vetsure to make further improvements to claims handling times – such that today, claims are being settled within 24 hours of receipt! If you are already part of our network you can start using E-Claims TODAY – contact your Relationship Manager for a helping hand! Not part of our Network – want to join? Then contact us TODAY. Want to increase your claim turnaround time? Ensure the policy holder’s and/or the treating Vet’s signature is obtained on paper claim forms. OR use our new e-claims system and we can identify you immediately! Ensure the policy holder signs and dates their section of the claim form AFTER the treatment has taken place. OR use our new e-claims system and we’ll collect an e-signature for you! All new claims require an accompanying full clinical history starting from the date the pet was registered with you. For continuation claims, only the relevant history is required. Ensure all claims are accompanied by a fully itemised invoice which spans the treatment dates of the claim. The quickest way to provide an insurer with your details is using a practice stamp. If this has gone walk-about please complete the full address and contact details. OR use our new e-claims system and we can identify you immediately! Be sure to submit a pre-authorisation to avoid disappointment. Should your client’s pet require treatment at an external provider a separate claim form is required for this treatment. Ensure this is signed by the treating practitioner.